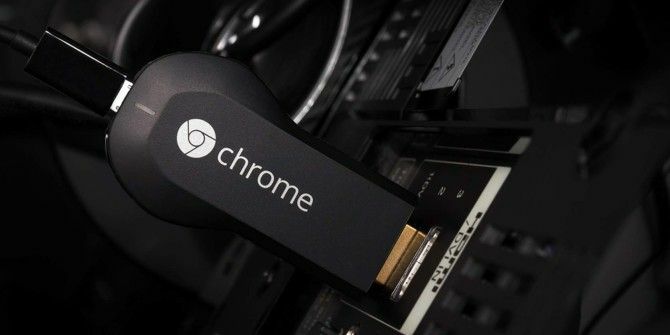 Have you been thinking of buying a Chromecast lately? You should. Not only is it one of the best streaming devices currently available The 8 Best Devices for Streaming Movies to Your TV The 8 Best Devices for Streaming Movies to Your TV There are several ways to stream media to your TV, and deciding which way is right for you can be overwhelming. Let us help you explore what's currently available. Read More , it’s also one of the cheapest. At $35, this thing pays for itself over and over and over. But if you still need a budge, consider this: if you buy a Chromecast right now, Google will give you a $20 credit to the Play Store. Obviously it’s not as good as a straight device discount, but a $20 credit for the Play Store is better than it might seem at first. In addition to apps, the Play Store also sells movies, TV shows, and music — all of which can be played with your new Chromecast. Not only that, but if you combine it with these free music streaming apps for Android, you can easily stream music for any crowd. Check out our full review of the Chromecast 2 Chromecast 2.0: What's New? Chromecast 2.0: What's New? The aptly named Chromecast 2.0 is Google's first major revision to the device since it was first released all the way back in July 2013. What's new? Read More if you still aren’t convinced. Note that it doesn’t matter where you buy the device. Just go to the Chromecast redemption page to claim your credit. Take advantage of it while you still can! Will you be buying a Chromecast for this offer? If not, why not? Tell us your thoughts in the comments below!